A frameless glass shower enclosure is a stunning way to make your bathroom modern and eye catching. With today’s modern bathroom designs, old fashioned shower doors would like out of place so our toughened glass solutions are the perfect solution. Made to measure stylish framless glass showers and shower screens add to the perception of space and light in any bathroom. 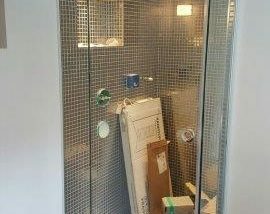 We offer a bespoke design and installation service for frameless glass showers, shower surrounds and screens. Our Frameless Glass Shower screens are made to measure for a perfect look and fit. 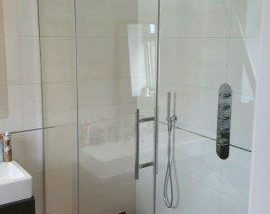 Bromley Glass and Glazing are specialists in the field of glass and are known for providing the best quality materials and designs for your bathroom or en-suite.